Just yesterday I wrote a big long post on society, values, and culture. I didn’t end up posting it because I took a look at it and it was just me ranting about all kinds of things which are wrong with the world. I stared at it, read it over a few times, and then thought, no, this is not what I’m about. Why? Have you guys ever saw blogs, or Youtube channels, or other online content, where it seemed the main goal of the content creator was to dig up filth and bring it to you each and every day? That sort of thing gets a lot of attention but it poisons your soul. You shouldn’t fill your mind with all the stupid things idiots are doing across the world. Sure, you have to be aware of it to be informed, but don’t use that as an excuse to live in their muck. Fill your mind with loving, interesting, beautiful things. Find people who are creating inventions, art, and discovering new aspects of the universe. With that in mind, I instead want to write about something more interesting — what do I believe in? That’s a much more difficult question. Without faith in something, you just die inside. You’re empty and have no direction. You just sort of drift through life, moping around. The other night I asked myself what I believe in. Just having to ask myself that question is kind of strange. You can live life unconsciously believing in things, never critically examining your mind and figuring out what you’re all about. So what does that question even mean? What does it mean to believe in something? At first I found myself saying, “Progress”. I believed that it’s possible for us to understand this world and take control of our destinies. We don’t have to accept the cruel fate nature has given us. If we get involved, we can change our government, our world, and the way we do things. We can create new inventions and make life easier and less tedious. Sickness and disease can be defeated. Even death from old age will eventually be conquered. That’s not easy to answer. Most of my joy comes from learning new things. The world is just really bizarre, especially the physical world. As I get deeper into this quest to understand the nature of reality, I keep peeling back the layers and everything is just strange. I find a lot of joy seeking answers to questions like why am I conscious, what is the brain doing, what is space and time, are there other universes, what is the physical world composed of, why does it all behave the way it does, is there free will, and things like that. I get more joy from that than anything else. My joy originates in taking an ordinary everyday moment and looking at it in a different way. It’s a delight in the world itself. You have to look at it without judgement and without fear, with a deep curiosity to know things as they really are. Well, maybe that’s not even right. You don’t necessarily have to care whether you “know” it or not. It’s not a hoarding attitude where you feel rushed to get as much knowledge as you can, or experience all you can within your short lifetime. It’s a very relaxed state of being. When you begin to see it, being radiates and flows out of the world in such quantities, no matter where you are or what you’re doing, there’s more than enough of “it” to go around. You have to disconnect yourself from the the noisy, random chatter in your mind and become the universe itself. I’m not talking about meditation here, or maybe I am. I’m not sure. Your body and your life are just part of the drama which is unfolding. There’s a disconnect of “self” and a connection with a totality of existence. It’s fine if there is words and thoughts, but they have to be about this existence and what you’re experiencing. They’re best if used creatively to either learn more about what you’re seeing, such as seeing beyond it, or examining the process which is unfolding. In my mind, the words are like, “How did this happen? What is this made out of? How was it made?” In other words, the thoughts disconnect you from yourself and connect you to a greater, more expansive, more timeless reality. If you get far enough into it, you can just sit on your back porch on a lawn chair and look out onto your yard and the mind will go all over the place. I’m not talking about your worries, how you’re going to pay the bills, or some fight you had with your girlfriend. This is much deeper than that. It’s not negative or depressing. You look onto your backyard and think about all the insects and plants and how they evolved. My mind is very “process” and “law” oriented, but if you’re an artist, maybe you’d imagine the insects and all their forms from different perspectives, like you’re “drawing” them in your imagination. Even I oftentimes think about it from the perspective of an artist. I think about all those little insects and their forms and I’m always left in awe. If you’d given me a blank canvas to paint on, I could never have come up with any of them. Look at those things! Look at all those little legs and weird eyeballs. 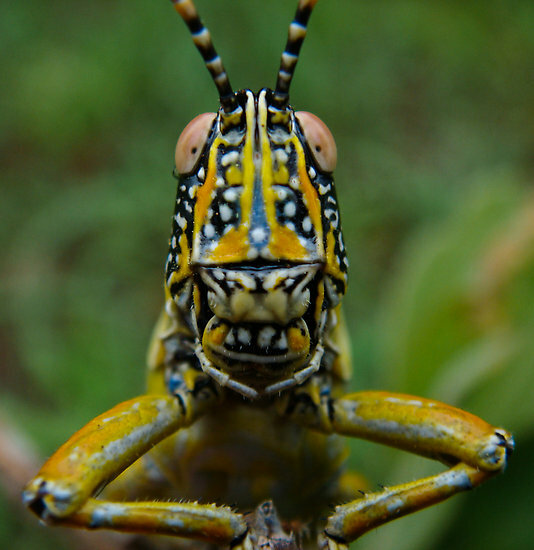 You see a grasshopper jump and fly across the lawn and I picture all that went into making that moment happen. The beauty is all in the details. It’s about the complexity, the details, and just an appreciation of this “being” which is all around us. I think of the physics involved, the air particles being displaced by the little wings, and all the tiny muscle movements within the insect’s body. I think about what it’d take to simulate it all on a computer and am in awe of how much detail there is. No computer today could even come close to simulating all the detail which would be involved. I like learning the details because I have an engineer’s mind. I think about building little flying machines and there is delight in understanding how to build them and going through the creative process of choosing how to build it. It’s not like there’s only one way to build something. Look at all the different types of flying insects and birds. There’s many ways to build flying contraptions. This utilizes your entire mind. It’s not passively going through life without any thoughts. You engage your creative mind as well. At least, that’s how I do. If you’re an artist, maybe you try drawing and creating your own insects. Try to beat God at His own game! (Good luck with that!) Even if everything you come up with pales in comparison to the depth and complexity of this reality, you’ll feel great joy in taking part in the creative process. My creativity comes from figuring out the processes involved. I think about how to model it all within computers. I’m big into simulations. I like understanding what’s going on around me. I have no other goal in mind, though that understanding could be used to build new things. As I learn more and more, there are all these puzzles and problems to explore. I have a set of choices on what I could spend my time studying and further exploring, and that’s a very creative process. I could work to master this form of mathematics, or look more into what’s going on in these metals at low temperatures, or think about how I could model a low density plasma in universe simulation. As I learn more and more, my ability to create and explore further grows. Knowledge creates the ability to be creative. At least in physicists and engineers. I could build it this way, that way, or this other way. How accurate would this be? How well would this do? When would this work and when wouldn’t it work? What limitations would there be? There’s this expansion within you. This bubble around you pops and you become aware of a world much greater than yourself which has always been there. Its complexity, power, and elegance will simply overwhelm you and leave you in total awe. You’re sitting there in a lawn chair in your back yard, a normal everyday event, but everything has burst into vibrant colors. It’s profound. What is all of this? This isn’t anything in particular. I can’t hold up any one thing and say, “This!” It’s more of a way of spending your attention. Your self dissolves into the world around you, like a sugar cube dissolving in a liquid. Even the process of learning and creating itself feels like an experience which is happening. It’s not like you squint your eyes and grit your teeth to make things happen. But to answer my original question — what do I believe in? Whatever it is, it’s all around us. You may find it looking into the eyes of someone you love. You may find it drinking a fine wine, or if you’re like me, creating computer simulations, trying to understand the mind, and wondering how everything came into existence. But whatever “it” is, it’s not far from you. Claiming there’s no absolute objective values is not the same thing as having faith in something. I’m firmly convinced that a person who doesn’t believe in love, who has no faith in their fellow human beings, who has no belief in progress, who fails to see mystery, awe, and wonder in the universe, who has no passion for their work or anything they’re doing, is not going to a happy person. There’s more to life than just existing day to day. Thank you, Jason. For this important personal thought. I try to have that same attitude, but it can be hard trying to be being realistic about the world (and thus start ranting, like you did yesterday) and keep that positive inquisitive attitude. PS: Keep up you blogging. I can totally relate to this! Isn’t the world amazing? I look at its complexity and all I can say is, “Beautiful!” When I was younger, I used to share a lot of your current views and attitude, though I wasn’t gifted with a lot of aptitude. I’m a little changed now. I found other things that are more in line with my aptitude and can make me happy. But those views and attitude are not yet completely gone! But sometimes you gotta know your place. So I’m trying to change how I think. But I still enjoy thinking about things that are similar to what you’ve mentioned. Similar but different. Different but similar. Haha, if you know what I mean!